Died suddenly but peacefully at the Health Science Centre. Predeceased by parents William and Phyllis Squires, brothers, Kenneth, Private Wayne, Victor, and Charlie. Leaving to mourn her heartbroken family, daughter Terri (Frank) and Terri’s father Terry; sisters: Canon Shirley Gosse (Charlie), Carole Gosse (Clift-deceased), Glenda Winter (Mark); brothers, Carl Squires (Kathy) and Allan Squires (Joan); sister-in-law Carol Ann Squires; special adopted brother George Tilley; dear friend Kevin Dooley; two grand doggies Tucker and Ozzie; many dear associates at Blue Sky Incorporated; many cousins, nieces and nephews who loved to spend time with Auntie Jean. Dozens of other family and friends in the St. Philips, St. John’s and Botwood area. She will be forever loved and missed. Cremation has taken place. Visitation will take place at Carnell’s Funeral, 329 Freshwater Road on Saturday May 13th from 2 p.m. to 9 p.m. and on Sunday, May 14th from 10 a.m. to 9 p.m. Funeral service will be held on Monday May 15th, 2017 at 2:00 p.m. from St. Philip’s Anglican Church with inurnment to follow in St. Philip’s Anglican Cemetery. Flowers gratefully accepted (No Roses) or donations in her memory may be made to the Canadian Cancer Society or to St. Philip’s Anglican Church. To send a message of condolence or sign the memorial guest book, please visit www.carnells.com. I’ve only just heard about Jean’s passing and I can’t take it in. We went to school together and lost touch over the years, as happens, but only recently re-connected through facebook. She was a joy to be around as a youngster and I was happy to find she hadn’t changed a bit – still that bubbly personality. RIP Jean. Another one of the old crowd gone too soon. So sad to hear of Jeans passing. Jean was so full of life and such a caring person. Family was everything to her And I know there will be avoid with her passing. RIP. Canon Shirley and Glenda, so sorry to hear of your sister’s passing. You are in our thoughts and prayers. Audrey Field and family. Thinking of you all at this most difficult time. I know you have great memories. Sending tons of hugs and kisses. How do I begin? I’ve started this message a million times in my head. I am beyond devastated that first of all Jean is no longer with us here on earth, and secondly because I am not home, and that I cannot bring myself to yet tell my boys Carter & Max, as they have a love for Auntie Jean like a child does for their grandmother. My heart breaks for you all. About 7 years ago Jean walked into my home and instantly we were friends. No – we were family. My friends and family became her friends and family. Jean was larger than life. A Joie de vive that only a few have. One cannot learn that passion. You are born with it. And that zest for life was contagious. Everyone that met her was instantly drawn by her magnetism. She was loved by all…..She always said I was her counselor and I always joked that I was cheaper! Truth was she was my confidante as well and would always freely share her wisdom… Always focusing on the positive and ignoring our human faults. My family and I adored her so much so that Jean joined us on our family vacation a couple years ago. I truly believe that the universe brings people to you at just the right time. There was an ease, a comfort level that takes most a lifetime to reach. We shared stores, laughs, and many times cried together. I held her hand as she did mine. Carter & Max loved the nights she babysat and had sleepovers. Those are treasured memories. We have so many. And the music. Wow the music of her life. It was always a therapy of sorts and we shared that bond. Jean truly adored her family and would do anything for them and our conversations always circled around her family and the memories and her concerns. She always spoke about her family bond, how close she was with her brothers and sisters, and everyone could see it. That really is an amazing gift. A gift that that lasts forever. I really have no idea how I, or my family, will pick up from here…. There is an emptiness in our hearts but as she said many times to me love does not end in death but continues forever. The memories and the love to infinity. I know right now you are singing and dancing with the angels and your family that you missed so much. And I know you’ve already found someone spectacular to do your nails…. I love you Jeanie. Always and forever…. We are keeping you all close in our thoughts and prayers. So very sorry to hear the news of Jean’s passing. Our deepest sympathy to her family. So sorry for the loss of your Mother. She was a wonderful person who will never be forgotten. Her smile was so beautiful and her laugh was contagious. My heart is with you today. Love you. Sorry to hear of Jean’s sudden passing. Our thoughts and prayers are with you all at this difficult time. Were so sorry to hear about the sudden passing of Jean, She was such a funny lady who would you always take time to talk to you no matter where it was and for sure you would always leave with a smile on your face. RIP Jean, the world was much better with you in it. To Terri Lee and family II was saddened to hear of Jeans passing.Such a compassionate person, great personality, How fortunate I was to have met her. Her laugh was infectious. I cannot believe that I am having to write this about my beautiful, vibrant, hilarious, sweet auntie Jean. I loved her so very much, as did my husband and three children. A big part of going home was to squeeze her and get lots of laughs. Oh how we laughed! She used to say, “You are just as naughty as I am.” I loved how she loved the ocean, children, and being all dolled-up! Auntie Jean…..FOREVER IN MY HEART. So sorry to hear of Jeans passing. She will be missed by all who knew her. Her beautiful smile, her charm, her wit. We sometimes had a chance to chat while at the hairdressers. She had such a positive attitude & planned to live life to the fullest…..Gone way too soon. Rest in peace beautiful lady. Take good care of yourself Terrilee & treasure your wonderful memories. Shirley, Carole, Terri and family, please accept our deepest sympathy on Jean’s passing. We know you were very close; sisters are so special. We love and are praying for you. Terry and family so sorry to hear of Jean’s passing our prayers are with you all. To all of Jean’s family. We are so sorry for your loss. Our thoughts and prayers are with you at this time. God bless you all. Much love. I am deeply saddened by the news of your loss. Jean had such a fun loving sunny personality, it is hard to believe that she is gone. She will truly be missed. My most sincere condolences to all of Jean’s family. Shirley , Charlie and Family ; Sorry to hear of your sister’s passing. We regret that we are unable to visit, but please know we are thinking of you . God Bless. So sorry to here of my cousin Jean’s passing. A beautiful person with a beautiful smile. My thoughts and prayers are with Terri Lee and all of the family. Your wings were ready but our hearts were not…. Till we meet again beautiful Angel. by Angie Earle, and Scotty Heath. Sincere Sympathy during this very difficult time, my thoughts and prayers are with you. ‘JEAN’ will be greatly missed but her warmth, kindness and gentle spirit will be remembered forever. God Bless. Terri and Terry, Squires family; So sorry to hear of Jean’s passing, thoughts are with you all during this sad time. Terri Lee and family. I was so shocked and saddened to hear of your mom’s passing. She was an amazing woman who had many great qualities. She will get missed beyond words. You are in my prayers. To Jeans loved ones, plz accept my sincere condolences. Jean was described by a friend of mine today as “Such a positive life force” and to us she definitely was! Her laugh, her sense of humor, her compassion and her dynamic personality was a joy!! She was an amazing woman ndwill be missed so very much!! Terri Lee and all Jeans family, We are so shocked and saddened to hear of Jeans passing. Terri your mom always vocalized how much she loved you and how proud of you she was . We always enjoyed all her visits to our shop(her terrific laugh and lots of great conversations). She will be missed by all who knew her. So sorry for your loss. To all of Jean’s Family! Sorry to learn of your Sister’s passing. Our deepest condolences go out to you and Family members..
Our Deepest Sympathy to all of Jean’s family. Heaven has gotten another Angel. Rest In Peace Jean!! Terri and Family of the late Jean Squires Hancock. 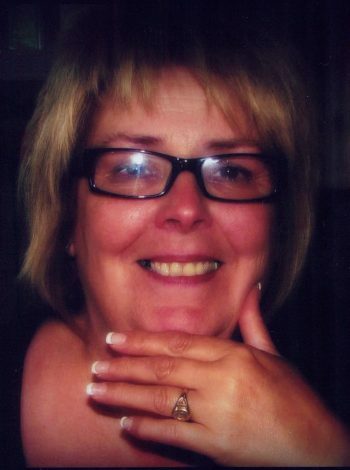 There are no words to express our deep sorrow for our dear Jean, who has been taken from us far too soon. She was such a vibrant person and full of life, and a personality beyond measure. We all loved Jean. I will always remember Jean from her days in grade five and her brother, Vic. They were both my students when I taught school at St. Philip’s. Jean was such a bright light in the class room. She was a top student, and friends with everyone. Just a sweet heart! Our love to all – God Bless You.